Collapsible or Foldable coolers are coolers that can be easily tucked away – whether it’s under a shelf or bed, a Foldable cooler will fit in perfectly. If you are going on a short trip and need extra storage room to pack cold drinks and food, collapsible coolers provide style and convenience and easy access to your items. The coolest thing about this accessory is that you can slip it into your handbag, and whip it out when you need extra space for drinks. Whether it’s for camping, tailgating or fishing purposes, you’ll be happy to find an ice chest that collapses and hides away. But it hard to find a soft cooler that does not have a fault – leaking, sweating – are among the typical problem associated with collapsible bags. 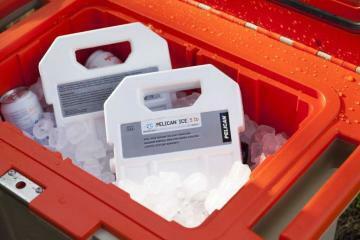 However, if you need a big cooler that is robust and holds ice for days – Rotomolded ice chests are your best bet. 1.15 Where to buy collapsible Collapsible Coolers? 1.16 What Activities are Foldable coolers suitable for? AO coolers are convenient soft-sided options for anyone on the go. Coming first on our list, it’s by no means a fluke because this bag deserves a spot on our top foldable bags. While it isn’t the largest on the list, it’s has a capacity of up to 42 cans plus enough storage to fit in ice. Made of canvas materials, it’s resistant to wear and tear. There’s a side pocket that is great for last minute items. This bag is constructed to retain ice twice than regular soft-sided coolers, and the entire construction centers around a strong puncture resistant bag. It is smartly fitted with an interior liner to hold ice for hours, however, don’t expect it to hold ice for more than a day. Concerning carrying, it comes with two options; a single handle, and single shoulder strap. Both options make for convenient movement. This cooler bag is available in black, Red, Mossy oak, blue and our favorite color, the charcoal. This bag is from one of the reputable market brand leader themselves. Coleman produces a range of superior coolers in the market, and this one too is no exception. Whether you need a foldable chest to carry your food, drinks or beverages, the Coleman will fit the bill. Sturdy and robust, it’s super lightweight and fashionable. It is made of quality fabric and high-quality zippers. It measures 17.72 x 11.81 x 15.75 inches, and meshes hold 43 cans. When not in use, this bag can be easily folded and put away. The opening is through a flip-flop zippers on top and a small pocket outside lets you pack valuable items that won’t fit into the cold. It has a two-way carry option – a single handle that can be hung on the shoulders, and storage areas grip handles on the side. Heat welded seams prevent leaks from the bag, while the fabric prevents the bag from sweating. The interior lining makes for easy cleaning of stains, and it has great value for money considering the brand. The California tabletop foldable 11 x 11.75 x 17 inches is the perfect size for a short picnic trip. It has a top zippered main compartment, with an exterior zippered pocket to store your items and mesh pouch on the sides, it provides a massive amount of storage in a compact space. The California tabletop is made of lightweight and durable materials, an insulated interior and leak-proof liners provide an increase in cooling performance. Also, the liner used in the interior makes it extremely easy to clean tough stains and odors. This bag cleverly tucks away, transforming itself into a flat pouch which users can slip into a suitcase. It weighs 1.5 pounds and has enough storage to pack your drinks. When unfolded, it takes the shape of a cuboid; this makes it perfect to stuff all your items in one place and not shift around. Overall, this cheap foldable ice chest is not the best ice preserving cooler, but It sure holds ice for hours. See, there’s no doubt. The Columbia crater is aesthetically pleasing, and we can’t help but gush about its looks. 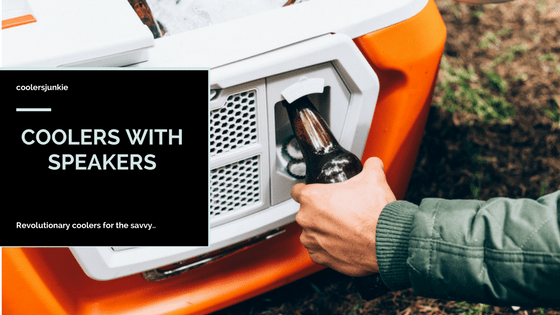 It’s the best collapsible coolers for travel. This rolling cooler is a great tote bag for your cold drinks & beverages. Spacious enough, it offers up to 40 beers. Equipped with wheels, although not as sturdy, you can easily roll over the cooler even when it’s filled on a smooth surface. You might find it a tad hard on harsh terrains. Coupled with Superfoam insulation and Therma-flect radiant barrier, get ready for improved cooling & insulation performance. Removable and 100 percent leakproof liner further provides ice retention and easy to clean interior. A zippered Flip-flop open provides easy access to your items. A small external pocket and large zippered pocket on the front are handy for storing items you wouldn’t want to get mixed with the cold. It comes with a foldable cart, rubberized wheels telescoping hook n go handles plus padded side handles for ease of transportation. The Rachael Ray jumbo is best suited for women being that it’s designed in a handbag shape. For less than $20 you can get a soft-sided bag that fits every function. Fabricated entirely premium materials, the bag is quite lightweight and easy to cart around. In terms of capacity, it has a massive space with a 10-gallon capacity, suited for shopping frozen groceries from the market. It combines a temperfoil lining with a radiant barrier which reflects heat and helps improve the cooling performance. Hence, you get more hours of ice. Comfortable handles are fitted on both sides and can be pulled up so that you can carry the bag horizontally. On the exterior, there’s a side flip pocket is used to store valuable items separately. After use or when not needed, the product can be collapsed and tucked into a bag. If you need a tote bag with high cooling performance to store your drinks and keep them is built, then there’s no way to go than the Vonsef foldable cooler. The lightweight and vibrant color will make you like the cooler at first sight. It measures Size: L 15″ x W 9.8″ x H 9.8″ (approx.) and L 15″ x W 10″ x 2.5” when compressed. Weight just 1.4lbs, all you get is a convenient cooler you can carry around for hours without tiring. With a 22 liters capacity, the cooler provides more than enough storage space for a day at the beach, picnic, camp or BBQs. The interior is built with a silver aluminum foil lining which improves the insulation performance. Made of lightweight and durable navy polyester with trimmings of aluminum on the frame and base, the cooler retains its shape. Packing is easy with the ebags crew cooler and meshes zippered compartments. The good looks and lots of storage areas make it an excellent choice to stay organized. The comfortable shoulder strap ensures ease of handling. It features a top dry area to store valuables you don’t want to get mixed with food and drinks. Thanks to the patented insulation design, the bag is insulated on all sides of the bag. Also, the interior utilizes a PEVA lining to prevent leaks, while holding back sweats. For less than a $100 bucks, this Foldable cooler is durable, has lots of compartments, durable and leak-proof to hold your drinks or food cold or drink for the whole day. With many options available on the market, buyers are quick to get overwhelmed. Buyers who are looking for a cooler bag with all the bells and whistles may want to ensure it has some of the basic features below. There should be extra pockets to store your accessories as it will enable you to keep your content organized. Mixing accessories with food or cold drinks might cause a mess. It is important that it has insulated storage areas to help avoid temperature exchange between the main compartment and pockets. Most of the products mentioned on our list include many compartments & mesh pockets. You probably know this; Different collapsible bags cater to different user requirements. So if you just want something small for a small number of people or you something that will fit into your car without hassles, we recommend the eBags Crew Cooler II. However, if you need a large size that can store up to 20 cans plus enough space for ice, then the Columbia Crater Peak Rolling Thermal Pack Cooler is ideal for you. Contrary to what some people believe, not all coolers are constructed with anti-sweat materials. That means the second you add ice into a soft bag, it will show some signs of moisture on the surface. You’ll need to check in the specifications and reviews from first-hand users whether or not a cooler is actually sweat proof. Despite the low ice retention period of soft coolers compared to premium ones, they often manage to offer a decent performance. Insulating the walls around the sides, lid and base provide extended ice times. For comparison sake, even if a bag that’s not insulated is stuffed with ice packs, it will not exceed the same bag that’s insulated. Zippers in cooler bags are as latches are in conventional coolers. Due to regular opening and closing, you’ll need zippers that can stand continuous use. Not only are zippers important to protect the contents inside, but it also helps to avoid excessive temperature exchange with the atmosphere, thus increases ice retention. It’s a lot easier to buy than it is to maintain. A great way to destroy your cooler bag is to treat it like a regular bag. The maintenance comes down to treating problems as they arise. To enjoy your portable cooler bag for years to come, you have to ensure it gets all the necessary care to keep it in tip-top condition. Ensure you wash your cooler after some time. This is a relative issue, regular washing can easily cause rips along the stitching. However, instances were a food pour or drink spills inside the interior will require a thorough wash. This is to avoid bacteria growth and mold. Consumers should avoid the urge over-stuffing as it can easily destroy the zippers since the bag will be forcefully closed. Where to buy collapsible Collapsible Coolers? Buyers have a lot of choices to buy coolers online, however, we recommend Amazon as it features all the juiciest prices that will appeal to you. The comment and reviews from actual users will also help you make an informed decision before you make a purchase. What Activities are Foldable coolers suitable for? Well, there are a lot of activities you can use these products for. From the rolling models to removable liner models, there’s a bag for every function. 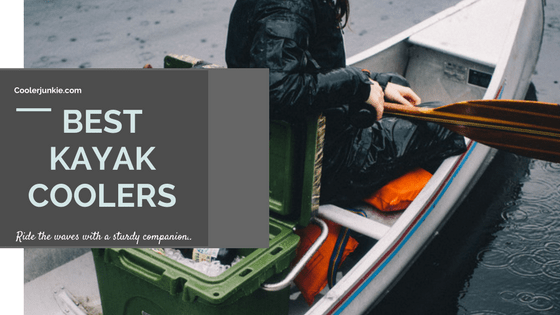 When traveling, it is important to ensure you pack drinks or food in a cooler, it possible not to find any restaurant close by. Not only is this wise, but it is also economical as it helps you stick to a budget without going overboard. Rolling coolers like the Columbia Crater Peak Rolling Thermal Pack Cooler is convenient for traveling, considering it saves you the stress of carrying by adding efficient wheels. Whether you are traveling by air or going for a cruise, the models mentioned in our list have the capacity to execute its functions flawlessly. Outdoor activities can be any event ranging from sports events (soccer, kayaking, football) picnicking, camping, going to the beach et al. You can pack your drinks and food and it will remain cold and fresh even after long periods. If you are looking for meals you could pack for coolers, here are some ideas from this site. We don’t have to tell you how important eating lunch is. Knowing how strenuous it can get to walk for long hours in search of a perfect restaurant to eat lunch.Knowing that’s the most stressful time of the day. Well, you can help save some time by packing your food in these soft cooler bags. Luckily, all models on the list will be fitting for packing your lunch to work or school. Built with insulation materials, you’ll get extended hours of cold drinks and warm food. Do cooler bags need ice? Yes, to ensure your beverages stay ice for long, put ice packs on top and around the sides. However, if you don’t have ice packs, fill resealable bags with ice. Can you put dry ice in a cooler bag? Although you can with precaution use dry ice in a cooler bag, it is advised you wrap the ice inside a newspaper to avoid direct contact with food or your skin. Do insulated bags keep food cold/Warm? Freezing your food can keep your food cold or adding ice with your perishable foods will see it retain cold. For warm food, simply place your food in the cooler and avoid any contact with ice. As you can see, best collapsible coolers provide mobility and versatility. As it is portable you can deploy them for different functions that are unsuitable for hard-sided coolers. Do not be deceived, soft coolers can keep your drinks cold, and keep your food fresh for a couple of hours or a day at most. For longer trips, resorting to hard sided ice chests will ensure you have more ice for days. Most of the folding and collapsible coolers are relatively cheap, a selling point that will appeal to users of all kinds.